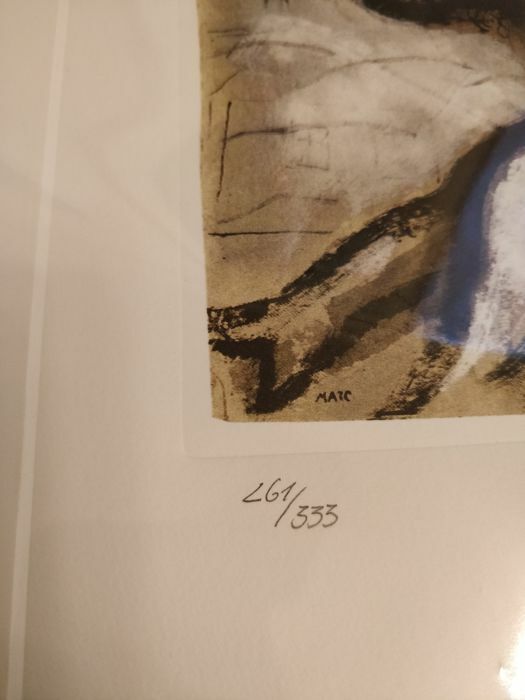 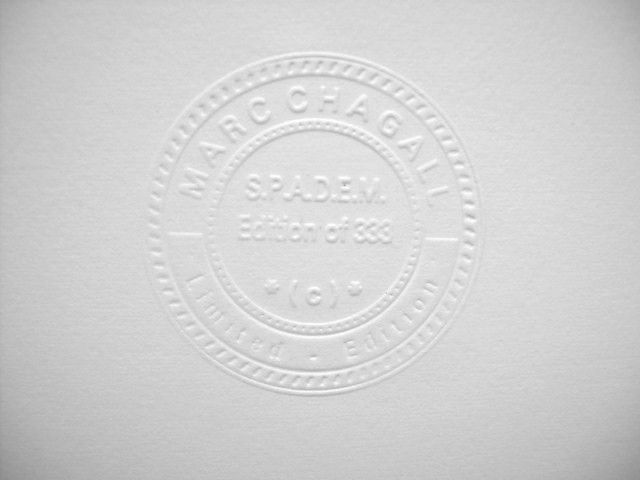 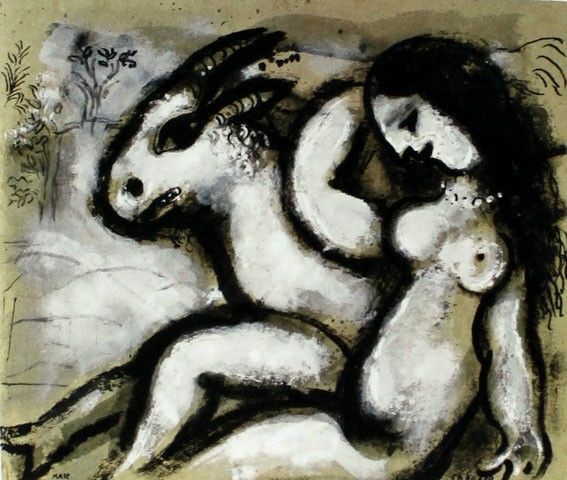 Prestige edition of SPADEM on the occasion of the anniversary of the death of Chagall, limited edition of 333 cps. 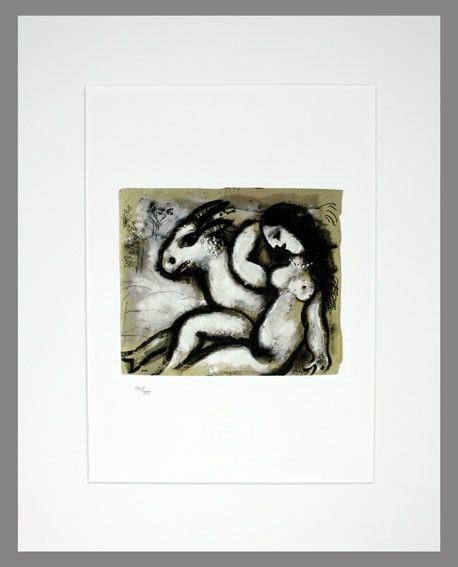 Original lithograph on artisanal hand cut paper. 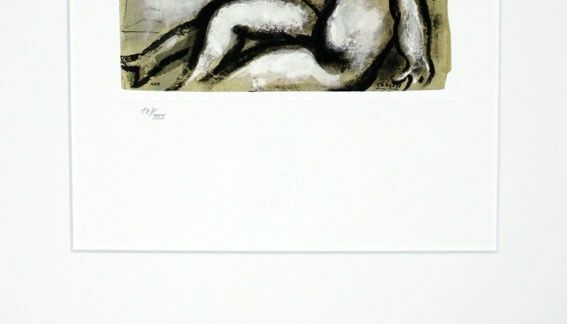 Signed in the plate with embossed blind stamp of the editor.